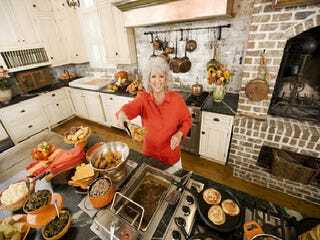 Milwaukee Journal Sentinel columnist Eugene Kane says that Southern cooking queen Paula Deen's disclosure that she has diabetes hit close to home. He loves soul food, and several family members have battled the disease. My personal connection involves both my love for what is commonly called "soul food" as well as a family history that includes numerous relatives with diabetes. My elderly mother has it; my late brother — who passed at the age of 47 — was first diagnosed with it in his 20s. My mother didn't develop diabetes until her late 70s (she's close to 90 today) but she always talked about relatives down South in her hometown of Augusta, Ga., who suffered from an ailment most black people of a certain age called "the sugar." African-Americans are disproportionately affected by diabetes. I get tested for diabetes every year and try to watch what I eat. But my love for soul food — essentially the kind both black and white residents of the South have eaten for years — came from my mother, who was the best cook I've ever known. Whether it was fried chicken, baked chicken, pork chops, turkey legs, collard greens, strawberry shortcake or corn bread, the delicious meals that regularly came out of my mother's kitchen became well-known in the neighborhood. At one point, Mom even ran a little catering business with her cakes and pies. But eating that rich food on a regular basis does have consequences. Like many middle-aged African-Americans who grew up on Southern-style cooking, I have made a conscious attempt to understand the connection between diet and good health because I realize my life depends on it.